SIDE SEWN NOTEBOOKS THAT HAVE A GENTLE AND CALM ATTITUDE. 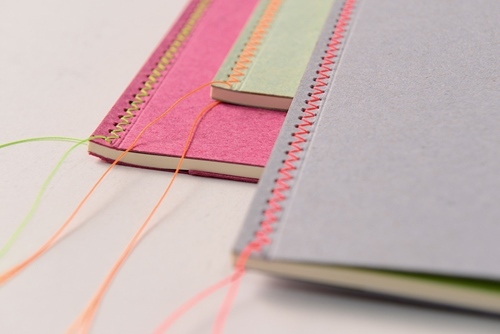 Three Mrs. Stitches notebooks that show their luminous threads on the covers with a sewing technique called Herringbone stitch. Pure beauty on the shelves.